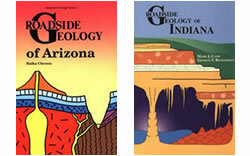 Roadside Geology & Geology Underfoot: Learn about the Geology of your favorite state as seen from the highway! 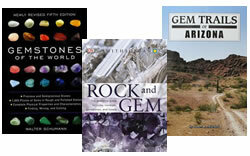 Gemstone Books: Learn about all kinds of gems and gem materials. 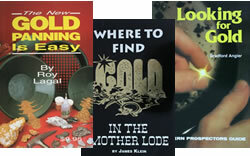 Gold Books: Over fifty books and maps to help you learn how to find gold and know where to look. 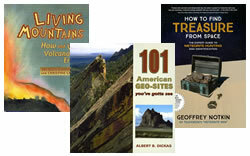 Earth Science Books: Learn about volcanoes, meteorites, extreme weather, dinosaurs and more. 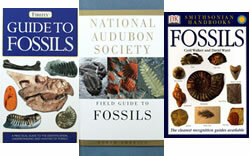 Fossil Books: Learn about prehistoric life through fossils. 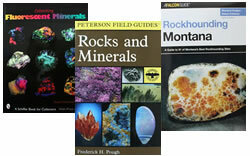 Rock and Mineral Books: Lots of great books about rocks and minerals. 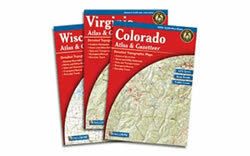 DeLorme Atlas: Get a complete state of topo maps in one convenient book. Streets, backroads, recreation areas and more.